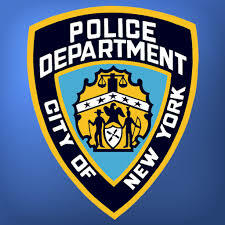 NYPD Reaches Out For Help. What would you do if your family member had gone missing and there were no leads? “Do you work with the police on missing persons?” When law enforcement needs my services, I am happy to help. 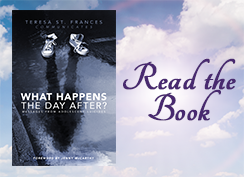 The caller revealed that he is a New York City detective, and he found a copy of my book, “What Happens The Day After”, on his desk at work a few weeks ago. It was very intriguing that no one he worked with admitted to putting it on his desk. As he works in a very secure environment and only his colleagues have access to his office, this was a mystery. He resolved to read the book because it just magically landed on his desk. After reading the book he was inspired to call me and ask for my help. The detective explained that he had some cold cases over nine years old, and asked if would discuss these cases with him. We meet several weeks later when I connected with the missing individuals. One had been murdered and the other died in another country. I spoke to Micka Lalanne and Gerald Hamilton for hours relaying the details of their lives and their ultimate unfortunate passings. The detective took detailed notes and recorded the readings. I have spoken with him several times since the initial readings. He is currently using the details I provided to try to close these cases. I have been blessed to help families find closure in many different ways. This is only one of the ways I have used my gifts to help others find peace, forgiveness, and healing. If you would like to have a reading please contact the office at 201-475-1044.